Really nice! ... I enjoyed my stay in ths hostel, very nice room, good breakfast and friendly staf. 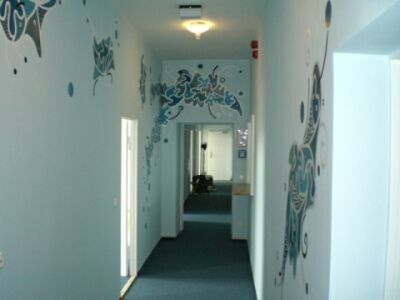 The INN-BERLIN is completely new (opening September 2007), clean, modern and decorated by the Chilean artist Francisco Jose Perez. 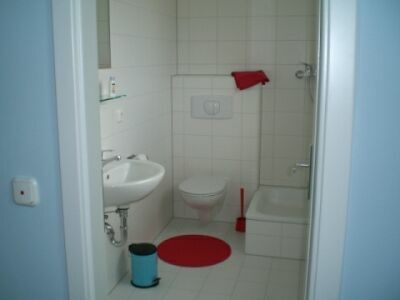 Conveniently located close to the centre of Berlin it is a perfect blend of excellent value for money accomodation and young interior design. Bus, tram, U- and S-Bahn connections are around the corner. The property offers 13 comfortable bedrooms, all with free access to a wireless flatrate 16000 WLAN internet connection. 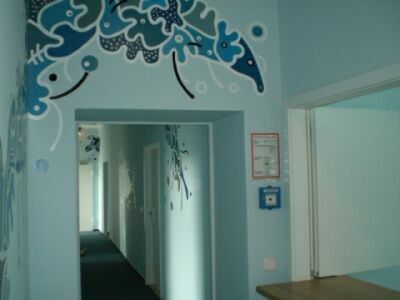 Also our hostel offers a fully furnished guest kitchen and a lounge with free Internet and flat-sceen TV. The rooms and furnishings are all new. All rooms have their own showers and toilets, that for the most part are found within the rooms themselves. Rooms and bathrooms are cleaned daily. You can cook for yourself in the fully equipped communal kitchen or alternatively take advantage of our breakfast offer. You can make yourself at home in our living room with free internet access and flat-screen TV. And you can rent bikes from us. You have the choice of 1-, 2-, 3- and 4-bed rooms. 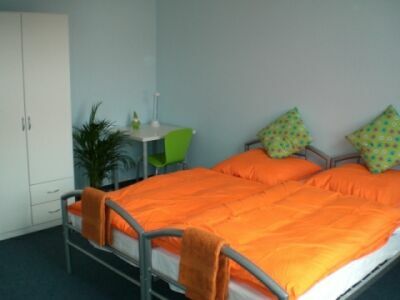 The rooms and furnishings are all new - you'll be provided with everything you`ll need during your time in Berlin. All rooms have their own showers and toilets, that for the most part are found within the rooms themselves. Rooms and bathrooms are cleaned daily. The INN-BERLIN is located in the suburb of "Wedding", which directly borders the city centre "Mitte" as well as "Prenzlauer Berg". Most of the "in" clubs, bars, cafés and shops can be found there. If you arrive at the central railway station, please take Bus 120 to "Hainbuchenstr." and get of at "U Reinickendorfer Str". There you can take Bus M27 to "S+U Pankow" and get of at "Prinzenallee/Soldiner Str." From there it is a 100 m walk. 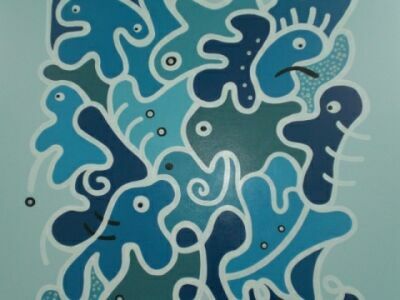 All together it will take you 20 min. The nearest bus station is "Prinzenallee/Soldiner Str.". Bus 255 and M 27 go there. The nearest U-Bahn station is "Pankstr.". U 8 goes there. The nearest S-Bahn station is "Wollankstr."